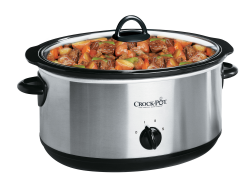 Slow cookers are capable of producing delicious home-cooked food which is rich in flavour, all with minimal effort. They’re also cheap to run, save time and can provide a healthy way of cooking – what’s not to love! There are many benefits to purchasing a slow cooker, but many people are left wondering how to use a slow cooker, and exactly what can I cook in a slow cooker? 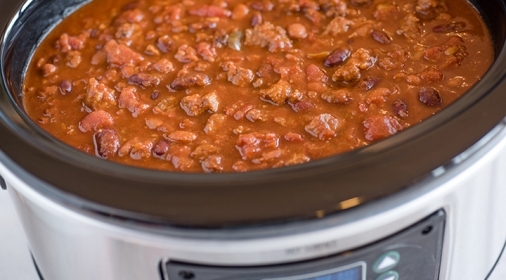 We’ve put together our top slow cooker tips to help answer your questions. How Do I Prepare Food for a Slow Cooker? One of the best things about using a slow cooker is that they require little effort and preparation. You simply need to chop up the meat and vegetables into medium-sized chunks and add to the cooker. Before you add the meat to the cooker, brown it in the pan a little beforehand, as this makes it richer in flavour. Do I Need to Add Liquid in a Slow Cooker? Once you have chopped all your meat and vegetables, add your vegetables in the slow cooker first and then add your meat on top. The next step is to add the liquid. If you’re wondering how much liquid to use in a slow cooker, one of our slow cooker tips that you should use 1/3 less liquid than you usually would, as no liquid escapes. You don’t need to add oils or fats to when cooking your meat like you would do in a pan, as the food is left to simmer in its own juices. What Temperature Should I Set My Slow Cooker To? 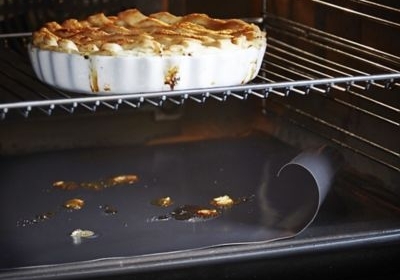 Once all the ingredients are loaded into the cooker, you then need to set it the correct temperature, which will be lower for a longer cooking period and higher for a shorter one. If you set the temperature low, you can leave the slow cooker to work its magic when you go out, go to work or even when you go to sleep. How Do I Clean a Slow Cooker? Another advantage of using a slow cooker is that they are easy to clean! Simply remove the pot when you are done and let it soak in soapy water. Just make sure it’s completely dry when placing it back on. What To Cook in a Slow Cooker? Slow cookers are generally used to cook meat, however, there is a wide range of simple slow cooker recipes which include vegetables, pulses, rice, pasta, hot beverages and even cakes! However, you would need to adjust the cooking time on your slow cooker accordingly. Generally, tough cuts of meat are the most popular as these are cheap to buy but when cooked, they become far tastier and easy to chew. You can also cook poultry in the slow cooker, such as chicken and turkey.